We all remember that Time Magazine awarded the Ebola Fighters their Person of the Year, right? I was delighted, and not surprised, that one of our alumni was among the many unsung heroes who “risked, persisted and sacrificed” to save lives. And I loved the piece of Mason Pride that she found and shared with us from the heart of Liberia. When Audrey first came to Mason, she intended to study global affairs. Then she decided to pursue nursing and minor in global affairs, a combination not possible at many other institutions. It’s great that Mason enabled her to pursue both interests and helped prepare her for the important work that she is doing in our community and around the world. Read Dr. Cabrera’s post here. This week we’ve got stories about pets and antibiotic resistance, a new Ebola patient in Liberia, rapid neutralization of chemical weapons, and other stories you may have missed. We all know that the overuse and over-prescription of antibiotics is leading to the end of antibiotic effectiveness and the rise of antibiotic resistant bacteria. According to Health Canada, this extends beyond humans to our furry friends, too. Many pet owners are purchasing the drugs at pet stores, but just like with humans, pets require monitored use of antibiotics and appropriate prescriptions for antibiotic treatment. CBC News—“‘It might be cheaper, but it might cost you more in the long run if you don’t treat it right — if the dog gets another problem or needs a different antibiotic, or gets sicker, or dies because of inappropriate treatment. Or it might be that it builds up a resistance bacterium, then it gets an infection later that’s harder to treat or passes it to you and you get the disease,” said [Dr. Scott] Weese [infectious disease specialist at the Ontario Veterinary College at the University of Guelph]. This week, 16 Americans were flown from West Africa (via a really cool plane) back to the U.S. after exposure to Ebola from an infected Partners in Health co-worker. And lest those fighting the outbreak become too complacent, a new case of the virus has been diagnosed in Liberia. This news is especially devastating because the last patient with Ebola in Liberia was discharged on March 5 and the country was in the midst of the 42-day countdown that ensures the country is disease free. This new patient arrived in the emergency room of a Monrovia hospital on Thursday night, March 20. A team of scientists from Northwestern University have developed a new compound that can deactivate chemical weapons in minutes. A naturally occurring enzyme usually produced by bacteria—called phosphotriesterases—can deactivate some pesticides, and nerve gases, in milliseconds. Researchers attempted to reproduce the same effects using a synthetic catalyst. Planning your next summer vacation to Kentucky? Bad news, a former TB hospital—and popular tourist attraction for paranormal investigators—wont be converted into a hotel for years! On March 20, Japan marked the 20th anniversary of the Aum Shinrikyo sarin attack on the Tokyo subway. 13 people died in the attack and more than 6.000 were affected—the majority of which say they still suffer from vision problems and fatigue. Not content to let the U.S. and Germany have all the fun, China now has its very own anti-vaccine movement. In China, however, the mistrust comes when offered domestically produced vaccines. 2,000 snow geese migrating from Mexico to Alaska were found dead in Idaho this week. The suspected cause? Avian cholera. This week marked the official beginning of the destruction of chemical weapons held at the Pueblo Chemical Depot in Colorado. This is the largest remaining stockpile of U.S. chemical weapons—2,611 tons of World War II-era mustard agent. Emails this week indicate that the WHO intentionally delayed announcing Ebola as a public health emergency. Why? Reasons include angering African countries, hurting African economies, and interference with pilgrimage to Mecca. It’s the last holiday weekend before the summer and its too cold to go outside! Don’t worry, we’ve got some good reading while you’re staying warm inside: antibiotic resistance, U.S. Troops leaving West Africa, a new vaccine for polio and LOTS of stories you may have missed. Enjoy your Monday holiday and have a safe and healthy week! The U.S. military is bringing home nearly all troops that were sent to West Africa 10 months ago in order to fight the Ebola outbreak. This withdrawal comes at a time where 700 homes in Sierra Leone were put under quarantine after a new case was diagnosed in Freetown. Quarantine seems like a smart move, since researchers have now confirmed that the virus can remain contagious on a dead body for up to a week. Despite troops leaving, testing has begun in Liberia for two potential vaccine candidates. While, after six months of no new cases, Africa is close to wiping out wild polio, a team of international scientists are working to create a wholly artificial vaccine to combat the disease. 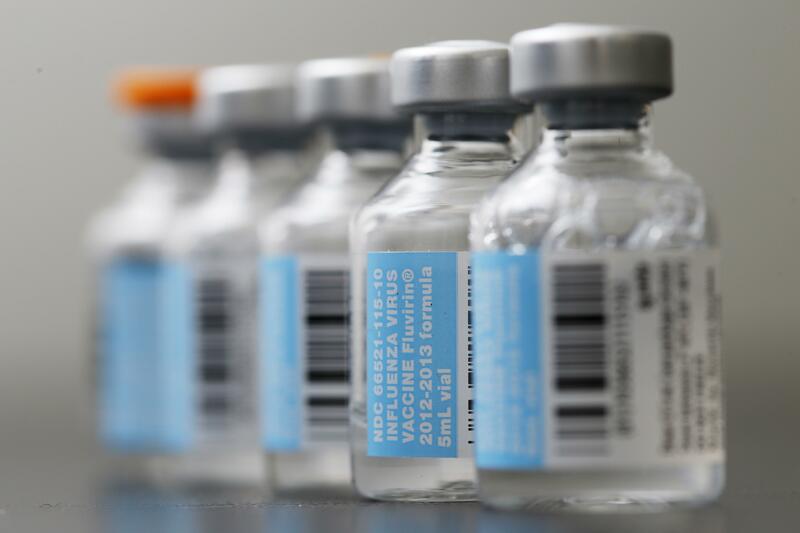 The Bill and Melinda Gates Foundation and the World Health Organization are providing a $647,000 grant to create an entirely synthetic approach that will address shortcomings in the existing vaccine. This new vaccine would be entirely virus free. BBC—“…the existing oral vaccine uses a weakened version of the virus as its stimulus to provoke a response and protection in the patient. And in just a few particular individuals, this can set up an infection in the gut that then enables a reactivated virus to pass out of the body and spread to other, unvaccinated people. Russian nuclear missile forces conducting large-scale exercises across the country days before the ceasefire with Ukraine begins…let’s hope those aren’t related in any way. First honey, now turtles. An infant in Ireland contracted the first case of Type E Botulism originating from the terrapins his parents kept as pets. Population growth in Colorado partially stemmed from TB patients flocking to the state to take advantage of the dry climate. How amazing is this? In 2009, two professors at the University of Minnesota prepared a report that suggested Disneyland could be a potential amplifier for infectious disease. Flooding in Mozambique has caused a massive cholera outbreak, resulting in 1,702 cases and 19 deaths. Overall, the flooding has killed 158 with more than 160,000 being adversely affected. The story last week about the NYC subway, there is (at least) one rebuttal claiming the story was a little TOO sensational. Second Opinion: there is no plague on the NYC subway. What’s going on with MERS-CoV? Saudi Arabia has reported two more cases and the WHO says inadequate infection control measures may be to blame for the continuing cases. What are the limits of Synthetic Biology? The Council on Foreign Relations has some ideas. Are you worried about the zombie apocalypse? Don’t worry. The Los Alamos National Laboratory team can map all kinds of viral outbreaks with their new Biosurveillance Gateway Website.